I developed neutropenia 2 or 3 years ago. I've been getting Neupogen injections which usually raise my levels from 0.8 to 1.5 temporarily. My WBC usually stays at 2.0. This last time my neutrophils went from 0.5 before injection to 0.3. I always know when they're bad because I cannot even think of eating or drinking. It's as if a large lead weight is on my abdomen. Along with fatigue, my mouth and tongue stay sore. I think I have lupus but an ANA negative type. I wonder if anyone else has stomach issues. I was diagnosed in 2015 with severe neutropenia and MDS (myelodysplastic syndrome). My WBC count was 1.8 to 2.8. I was taking injections for about 3 months when I decided to stop since it was not increasing my white blood cell count. I was assigned a transplant specialist to see if my siblings are a match for a bone marrow transplant. Knock on wood, I have not been sick once. I travel and wear a mask in enclosed areas, wash my hands fanatically, and do not touch my face. My doctor says he is not sure how I am alive. Just glad I am! I was diagnosed with severe neutropenia about 6 years ago, after my primary physician did a full blood work lab tests. I was referred to a wonderful hematologist, who did several tests, including a bone marrow biopsy, to rule out things like lupus, HIV, rheumatoid arthritis, etc. Nothing was found. I believe I contracted it back in college after having 4 or 5 bouts of strep throat back to back. It may have been due to the large doses of antibiotics I took over that short period of time. Since my diagnosis, I have continued to see my hematologist regularly for blood count checks (average ANC count is between 200 and 400), and get Neupogen shots as needed. Symptoms of my neutropenia include frequent cold sores, yeast infections, bleeding gums, and tiredness. I have to be very careful with cuts and scrapes, as they can easily become bacterial infections. I have a prescription of ciprofloxacin that I take on vacations with me just in case I get an infection and can't get to a doctor. It is a condition that I live with and manage, but it does not alter my lifestyle to a great degree. The key to good management has been amazing doctors who are on top of my disease, and managing my health through good hygiene. I was diagnosed with chronic neutropenia about 12 years ago, after I had a pulmonary embolism at 7 weeks gestation with my third child. I was always a sickly child, strep throats constantly. After the blood clot while pregnant, I had a lot of regular blood tests and that was when the neutropenia was discovered. I am usually 0.2 - 0.6, so pretty low. I take Neupogen injections for which I find the after effects exhausting! I have pains in all bones and migraines which last for days. I suffer with sinusitis constantly. I have 6 monthly check ups in the hospital, and generally feel ill all of the time. I was on 1500 mg of Epilim a day. I was advised by a pharmacist that this can cause neutropenia. Earlier this year I went into septic shock from cellulitis. I thought I was going to die, I didn't know what was happening to me. I should have called an ambulance. Also I have had a chronic case of fungal infection in my groin, it even got on my hand. I had it for over 8 months. I couldn't get rid of it, had to be treated with Sporanox which worked. Also I have had sore throat for a while, and I didn't understand why it wouldn't heal. Also I have a sinus condition and since being off Epilim my sinus is much better and I can breathe better. I believe I was suffering a low white cell count. Doctors never informed me of risk of this or what my white cell count was. I am 57 and was diagnosed with cyclic neutropenia 4 years ago. I recently started allergy shots in the hopes I could stop using so many over-the-counter medications for sinus issues. I find on the day of my shot, which I take 3 times a week, I am exhausted. I wonder if anyone with cyclic neutropenia has taken allergy shots and how they felt after the injections. I recently got results of laboratory tests for neutropenia and my white blood count was low (2.7). I also have fungus on my foot since many years now despite medication. I am most of the time tired all day even if it does not affect my work and studies too much. I also infrequent episodes of enuresis and I suspect I have sickle cell since I did Emmel test when I was a kid it was positive but never followed up. As a child virtually everything would give me a rash if it touched my skin. My mum would take me to the family doctor asking why out of all the children she had I was the one getting all these rashes and randomly getting fevers. My dad would back my mum up but the doctor wasn't interested. It got to the point one of my older brothers and older sisters were worried about the random infections I got especially when I had bleeding feet but the doctor wasn't interested. I had few problems in my teenage years then around 21 I started to get frequent skin infections including on my face. No one knew why. At 35 I had lots of sinus issues. Again no one knew why. One family doctor was even rude enough to imply I was making them up as my blood test was 'normal'. Eventually at 37 a nurse did a full blood test to check why I was tired and ill. Amongst the results it was noted my neutrophil count was low. The test was repeated but it was normal. This worried a female family doctor who rang me up and told me to get antibiotics if I had any infections. The blood tests were repeated a few more times over the year with varying results from normal to low. I then got all my test results including the 'normal' one which was actually neutropenic, and noticed that my neutrophil counted varied from normal to low. I changed practices and another family doctor claimed my results were normal which I didn't believe as it's not normal to have skin infections, chills, sinus problems and gingivitis randomly. However one of his colleagues said to again get antibiotics if I was ill. I then spoke to a pediatrician I know and she said that it's likely I had cyclical neutropenia and to take hygiene precautions even though the neutropenia is mild. She said she sees it regularly and lots of family doctors just don't know what they are looking at so ignore it, while others are worried about it. I have been on morphine for over a year and a half, 130 mg daily for knee pain. Recently I had pre operation tests done for a knee replacement which picked up a low white cell count. I've read that large doses of morphine can suppress white cell production and cause neutropenia. Apart from the knee pain I am relatively fit for a 64 year old male. I have neutropenia, was diagnosed over three years ago. I have a lot of weakness more than anything else, and over the years have had a lot of bladder infections. I recently had a bone marrow biopsy, but nothing was growing in the marrow. We have been doing the watch and wait thing, watching and waiting for T-cell LGL (large granular lymphocyte) leukemia. My doctor did a special test to find this. I still feel awful sometimes, I am on nothing for the neutropenia. I had an episode where I was very ill in the mid 8's. I was so sick that I thought I was going to die. After blood tests, the doctor told me he had good news and bad news regarding the test results. So I asked for the good news first. The 'good' news was that I had Ross River fever, a mosquito borne illness here in Australia (the symptoms recur for years, some days I could not even get out of bed due to extreme joint pain, seemingly everywhere). The bad news he said was that I had neutropenia. I have now lived with neutropenia for about 30 years. Neutrophil count average is 1.5. Now it has dropped to .07 and my doctor would not tell me the results of the last test, but told me to stay away from sick people basically. Hence I am here worried, as this morning I have started feeling quite ill with fever, sore throat, etc. If this worsens I will be going to the doctors. Now to lie back down. My daughter was diagnosed 3 years ago with severe neutropenia. No definite cause found, but her doctor suspects it may have started when she got a stomach parasite. After a 3 week dose of a strong antibiotic to kill the parasite, she had fever, hives, and arthritis symptoms. A few days of a treatment in the hospital the problems went away. Since that time she has stayed very healthy but has to watch for infections and fevers. Frustrating that there is no improvement. She does not get any Neupogen shots as her doctor sees no reason since she stays healthy without them. I wonder if anyone has ever had their blood count improve over time. Hers stays at 100. I was diagnosed with chronic familial neutropenia 18 years ago. I see a hematologist regularly and have had two bone marrow biopsies. I have no symptoms, don't get sick, don't have any mouth ulcers, etc. I am well, asymptomatic, but I keep an eye out. I just found out that I have neutropenia after having a low WBC since 2009 and no one ever said anything. I guess now that accounts for the fatigue, constant rashes that appear out of nowhere, and my inability to heal from simple things, and the freak incidents of bloody gums (even though I floss, brush like crazy, and oil cleanse). All I can say, is eat well. Change your diet, stop eating milk, dairy, and wheat. You will feel better quickly. At least it helps me. I was diagnosed with neutropenia a few years ago. I've had several infections pneumonia, blisters on my lips, canker sores, yeast infections, infection and costochondritis, fevers and high blood pressure. But no real treatments given, just whatever clears up whatever infection that arises. I started taking B-12 and multi vitamin. I"m a very athletic person, or I was, but lately all this pain has taken a toll on my mental and physical health. I was diagnosed with neutropenia at the age of 18, I have been through a battery of tests including many bone marrow biopsies. I am now 31 and no cause has been found, my neutrophil levels range between 0-0.4. I no longer take Neupogen due to a decreasing bone density. I experience chronic gum inflammation, and other mouth sores that I can usually manage. I frequently get colds and stomach bugs that I am able to cope with. I have received every vaccine that I am able to get and function relatively normal under certain infection control precautions. I was diagnosed with neutropenia at age 62. Two years later we are still looking for the cause. Neutrophils are being produced in my bone marrow but killed off by my body defenses. My last blood count was 0.7. I have travelled to many parts of the world and picked up numerous parasites, hepatitis, and beaver fever. I have continuous pain in all parts of my body; chronic fatigue; headaches, nausea and urinary problems. I was diagnosed with benign cyclical neutropenia when I was in my teens. I had a bone marrow biopsy, which showed my marrow is making white cells. The diagnosis was precipitated by a bout I had with mononucleosis. The only real trouble I have had through the years has been cold sores in my mouth on a recurring basis and perhaps a few more colds than normal. When I had breast cancer a few years back, the neutropenia made chemotherapy difficult, because the doctors wanted to see my white count higher when I had the treatments. My count cycles were between about 750 and 1500. Now that I am getting older, it seems I am getting colds more frequently. I know my count cycles about every three weeks and that's how often my cold sores show up and is usually when I get a cold. In reflection I've probably had neutropenia all of my life although only diagnosed at 55. At 18 months old I had convulsions caused from a high temperature from tonsillitis. I've had tonsillitis 4 to 5 times a year all of my life, mouth ulcers and sore throats too. I went to a naturopath 2 years ago and he cured my tonsillitis with herbal remedies. I still am getting mouth ulcers (I gargle with salty water) and getting sick with the flu. I should go back to the naturopath as the stuff worked in enhancing my immune system greatly. Some of it was Goldenseal and Astragalus. I currently have an ANC of 900 (moderate neutropenia). I developed this a year or two after a Roux-en-Y gastric bypass. I have no B12 or iron deficiency. Bone marrow tests show nothing amiss. I feel fine. I was diagnosed with borderline neutropenia over 2 years ago. I've had a sort of acne on my face and chest since puberty and never been able to get rid of it. I must get some biopsies of the spots done sometime. Also I am quite a moody person that has energetic days and low days. Total count is 3.6 (normal range 4 to 11) and neutrophils is 1.6 (normal range is 1.8 to 7.5). Lately I've had some mouth sores and a flare up of the spots. I must get tests done again soon. When younger I had tonsillitis almost all of the time and was overprescribed penicillin and other antibiotics for years before finally having my tonsils out. This may have been part of the cause. I avoid antibiotics whenever possible these days as they wipe out the bad bugs, and also any good antibodies built up, your whole resistance. I rarely get colds and refuse to get flu shots these days, would rather get a flu than heavy metals in my veins; cancer anyway. I got all travel vaccines once, six injections in one appointment, and had no problems at all. I was diagnosed with neutropenia in January 2010. In November 2009 I had the H1N1 vaccine, the next day I could not get out of bed. After a visit to the doctor and blood test my WBC count is 2.1 and my neutrophil count is 0.9. I was healthy and working at age 56, my blood count is still the same, but I haven't worked since. My mum was diagnosed with T-cell LGLL in 2007 and had severe neutropenia. She was given cyclosporine but had a bad reaction to this course of medicine. Her neutrophils went up to 1.5 from 0.5 and stabilized at around 1.0, however, they have gone back down to 0.5 again and she suffers badly with mouth ulcers on her gums and tongue, but not sore gums as such. I know this form of leukemia is very rare. My daughter was admitted in the hospital for dehydration and high fevers. Her white blood cells (WBC) and neutrophils (part of WBC) were extremely low than the normal range. These cells fight for infection. She was placed on reverse isolation and was put on "neutropenic precautions", meaning to protect her from getting any bacteria or germs because of her poor immune response which basically means she is susceptible for infection. Hematology (doctor for blood infections or cancer patients), was consulted. Her attending physician is an infectious disease doctor. They did all kinds of test such as blood count, virus tests etc. I am a nurse and if they do all these tests, I think maybe she has a more serious condition that I need to worry about. To make the long story short, results came back and she is positive for Epstein Barr Virus (EBV) which is commonly called infectious mononucleosis or the "kissing disease". And this virus usually causes the neutrophils to go down. Now she's fine and seems like she just had a typical common coughs and colds. My daughter is 13 years old and has an extremely low white blood cell count. She has had bone marrow tests, CT scans, and biopsy of lymph nodes in her neck. She has had more blood test than I can mention. In a nut shell she has been through more than a frog in biology class. There are still no diagnoses from the doctors. She immediately fell into this condition after having her tonsils and adenoids removed. She has never really been seriously ill when growing up, just occasional ear ache and such. She even had all her wisdom teeth removed and recovered with no problems, but when her tonsil and adenoids were removed, she complained of severe ear pain, extreme headache and these symptoms were accompanied by a severe fever of 104 plus. I got neutropenia when I had a toxic shock to quinine. It wiped out my white cells, my neutrophils were zero. I have to live with this. My son has idiopathic neutropenia. They are still searching for the cause. He'll have fevers for days. The hospital staff doubts me now because sometimes he has them in there, other times not. My daughter was experiencing ongoing diarrhea. Blood tests were done to determine if she had Crohn's disease or IBS. She did not, but blood came back showing she was extremely neutropenic. (100!). She has since been seeing a hematologist, been through more tests than I can list, including bone marrow biopsy.noh, she is now 24, diagnosed at 23. Nobody knows how long she has been this way or why. She has had to go to the ER twice for high fevers/infection. Living with this hanging over her is so disheartening, worrying that every little illness can result in life-threatening infections is awful. The only help is the Neulasta shot which makes her very nauseous and gives pounding headaches for days. And that only helps temporarily. I pray for some type of cure or miracle. I am 56 years of age I have had neutropenia for 18 years my wcc is 2.5 and my neutrophils are .83 I have had bone marrow tests etc but I have never been sick or been affected by it some can not understand I am not conplaining yet. My daughter is almost 3. She was admitted to hospital for a viral infection and diagnosed with neutropenia. I have been taking her for weekly blood tests and her levels just keep getting worse. The doctors don't seem too concerned and just want to keep checking her. I don't know if this is normal or if I should seek a second opinion. I am now 51 years old, and the first "diagnosis" of neutropenia that I remember was in my late 20s. My allergist tried to determine the cause to no avail. However, I do have a history of Epstein Barr Virus, and also have acetylcholine allergy (a muscle enzyme, also a reaction to changes in hot/cold temperatures), that may be causal. My neutrophil counts generally range from 1300 to 2500, but have been as low as 900, which prompted the lab to insist that I see a hemotologist/oncologist. All tests for various causes were negative, and I was not a candidate for a bone biopsy due to an allergy to the topical anesthetics used during the procedure. He said that if I ever succumb to continuous infections, we would need to do the biopsy (with IV anesthetics and sedation). I seldom get sick, and I do get the flu shot annually as a precaution. I am 44 years old and was diagnosed with neutropenia in my 20's. I had the bone marrow tests twice and the only thing they believe contributed to this condition is that when I was 10 years old I had my appendix out in another country and was given a very strong antibiotic (chloromycetin) that was outlawed in the US and they think the drug damaged my bone marrow. Overall, I lead a healthy life, but I need to watch for infections closely and see the doctor right away if I get sick. Sometimes, even with antibiotics, I have a hard time fighting illness or getting over coughs. I always get the flu shot. 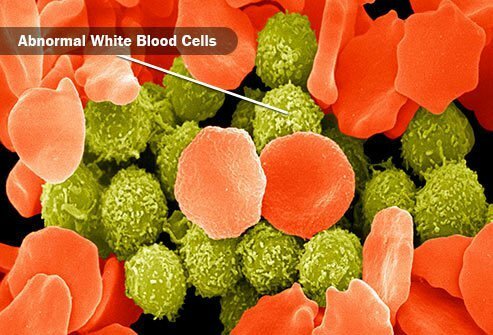 I have some family members who also have somewhat low white blood cell counts, but not as badly as I do. I have two children. My 4-year-old daughter has been diagnosed and my 18-month-old little girl too. They have both been on folic acid from birth as they are pre-term babies, but this is a condition that has grown progressively worse. They are both classed as Chronic Neutropenia cases now. My 4-year-old did get her numbers to an acceptable level, but they have recently dipped again. She is always pale, but my baby is yellowish. We are awaiting bone marrow tests again! I was diagnosed with neutropenia when I was 49. The diagnosis puzzles me because I am not prone to infections or any types of colds, however when tested by an oncologist at least once a month, my white blood cells are consistently low. My "grams" are of such concern to the oncologist that I am given shots of neupegin (probably not spelling it right). These injections make my body ache for at least one day, and then I am back to my "normal." They do not know what caused it, but they are concerned enough to want me in at least once a month for a complete CBC. I am 28 years old and was diagnosed with neutropenia when I was 17. I have been tested for various diseases over the last eight years and also had my bone marrow tested and the specialists have yet to find a cause for my neutropenia. They say it's "congenital." The problem it has given me over the past few years is often and recurring flu, throat infections and other common infections, which I struggle to fight off even with the use of antibiotics. My daughter is 20 and severely developmentally delayed, vision impaired and has been recently diagnosed with neutropenia. She has had her numbers checked for the past four months and is now seeing a specialist. The specialist is repeating every blood test imaginable for blood disorders and my daughter is also scheduled for a bone marrow test. The first results were all normal and they out ruled cancer, leukemia, etc., but we are retesting her again. Her white blood cell count has consistently dropped a point or two over the last few months. We have been told by the specialist that if she runs a temperature higher than 100.4, she is to be taken to the ER. At this point, my daughter is healthy and has had no problems. I was diagnosed with neutropenia after a week's hospital stay over a massive sinus infection about a year and a half ago. I have a white cell count of about 1.2 to 1.9 on average. I've had a bone marrow biopsy and multiple other blood tests and my doctor can't find anything causing it. They say I am chronically neutropenic. I have had to receive IV antibiotics the last couple of times I've been sick, which has been twice in the last six weeks. To the woman whose daughter had her tonsils out, I had my tonsils out at 16 and was not diagnosed until 29. I just hope we all have great doctors who know what they are doing. I am 61, but was 47 when first diagnosed with Chronic Lymphocytic Leukemia. No treatment was required. By 1997, they said the white count did not support the Leukemia diagnosis, so they changed the diagnosis to T-Cell Large Granular Lymphoproliferative Disorder, which in my case, is characterized by a low Neutrophil count. My question is, has anyone experienced chronic gum inflammation with their Neutropenia? To the article published 08/05 regarding Rythmol and low white blood count, the answer is yes I have a low WBC of 3.8 and a low neutrophil abs of 1.94 my doc is repeating this in 2 weeks. I have a-fib/SVT a rhythm problem and also take Rythmol 150mg 3x a day, let me know if you found out anything. When my son was 1yr. he started having blisters in his mouth and throat every 21 days followed by an infection and high fever. We visited every doctor imaginable including children's hospital in phyla. The diagnosis was milk allergy. Although, I never believed it. The condition continued for a number of years, but lessened in severity over the years. He is a healthy 10yr old that still gets blisters usually when he gets a virus/cold etc. I thought I was going crazy all of these years until I saw an article in a column in the newspaper recently. My son was recently diagnosed with this and gave us a scare...We thought initially his cancer had returned from years past, but thank the Lord this was not the case, although the specialist still has no idea why he has this. We are beginning to wonder if years working in the oil patch may have some relationship. My daughter has neutropenia. Her neutrophils count varies from 1 to 2%. She was diagnosed after a fever; she also had small blisters in her mouth. She always asks for water, so we presume she is always thirsty. She is 1 year old and nobody really knows why she has it. My son is just over 1 year old and at 9 months was found to have virus-induced neutropenia. The doctors say there is a good chance it will fix itself in six months or so. I am 22, and I have recently been diagnosed with neutropenia. I have been taking blood tests, and the doctors still haven't figured what the real problem is. I haven't really had symptoms except for tiredness. I'm 70 years old and halfway through six chemotherapy sessions, but neutropenia cropped up, and I'm on hold until the count goes up. My count is well below the required number as of now. I have been a cyclic neutropenic for 16 years. I found out about it at 48 years of age. It is indeed a very difficult disease to live with, but I have been so blessed by my doctor who is an expert in neutropenia. I think that is the key with this disease: You need to find a doctor who knows what he is doing and then will do it! My daughter is 11 years old and has had neutropenia for a year now. Her white cells are low all the time! We check her counts once a month. Everything is looking good right now! My white count has been getting progressively lower. Now at 2.5 on a scale of 3.6-10.6. Specifically, my neutrophil absolute has fallen to 1.4 on a scale of 1.8-6.8. I recently read that the heart pill I am on can cause low white count. I take 2 Rythmol SR caps (225mg) per day. (Propafenone). Has anyone else found this, or other drugs, to be the cause of low white count?